Students from the Burton Center for the Arts and Technology's welding class recently made the first public prescription drug take-back box in the Roanoke Valley. The box is set up in the Roanoke County Sheriff's Office lobby. The Sheriff's Office collected 98 pounds of drugs between the end of June through mid-October. The unused prescription medication is then destroyed under DEA guidelines. The hours to drop off drugs are from 8 AM to 4 PM, Monday through Friday (excluding holidays) at the Sheriff’s Office administrative annex across Main Street from the Roanoke County Court House, in Salem. 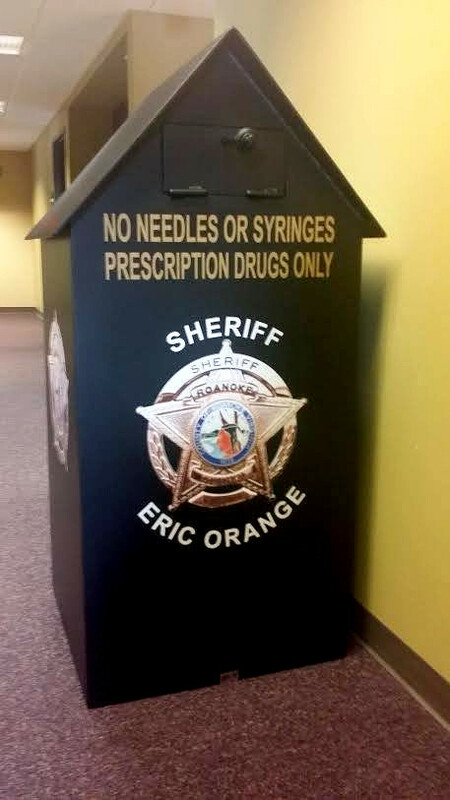 You do not have to be a county resident to drop off the drugs. Restricted items are as follows: Needles/lancets/syringes, Epipens, thermometers, aerosol cans, empty containers, bloody or infectious waste, personal care products, business waste, hydrogen peroxide, alcohol, or illicit drugs.